Awhile back Jemma gained a fondness for dear ol’ Dora and her sidekick Boots. Backpack and Map too! 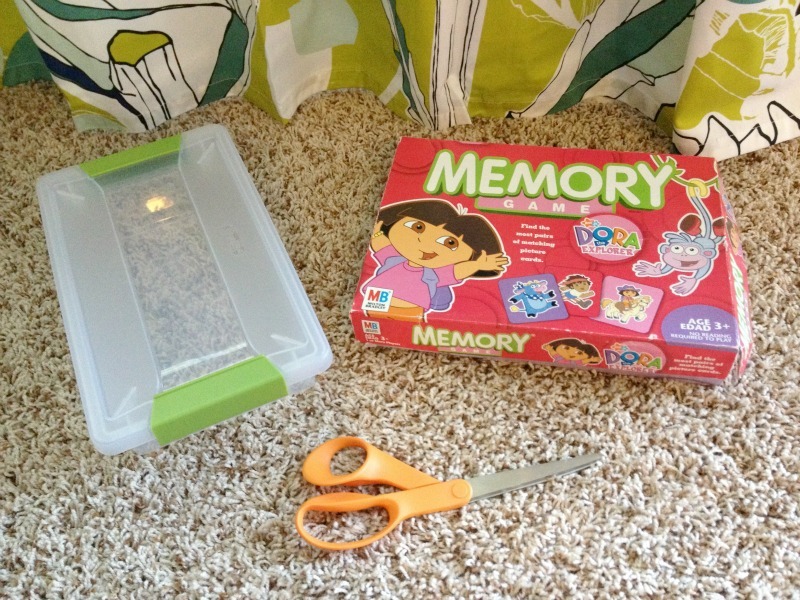 At the last JBF sale I scored a Dora Memory Game for $2 and we’ve been playing it ever since. Unfortunately, the box has taken quite a beating and lately pieces have been slipping out the sides causing Jemma quite the fright, “Oh no! Mama! Dora’s fallin’!! !” Everything is dramatic in her world. 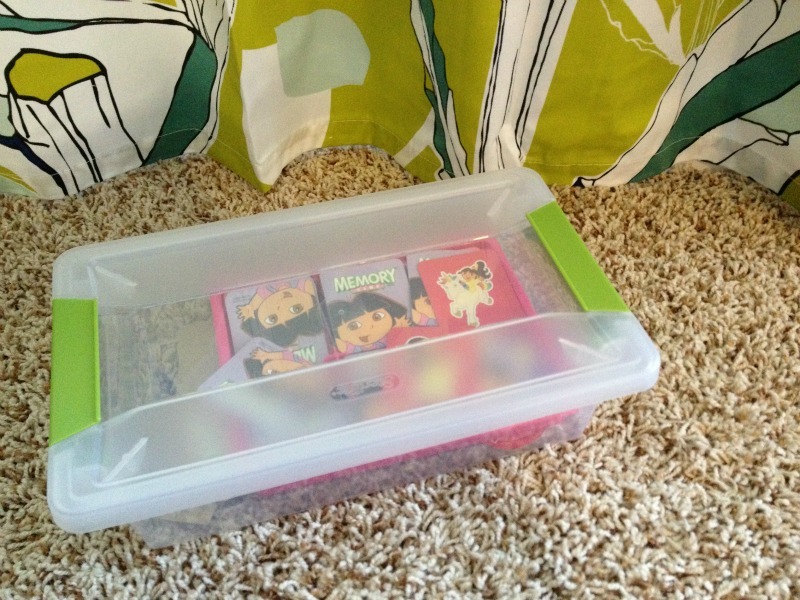 The other day I picked up a little tote for $3 and decided to make Dora Memory a new home. Snip, snip! I cut out Dora, Boots and the word Memory so we would be able to identify this specific game. Had this been a game with directions on the back I would have included those too. And just like that, Dora has a new home! And a pretty one at that! Plus, this size tote fits perfectly on our play room bookshelf. 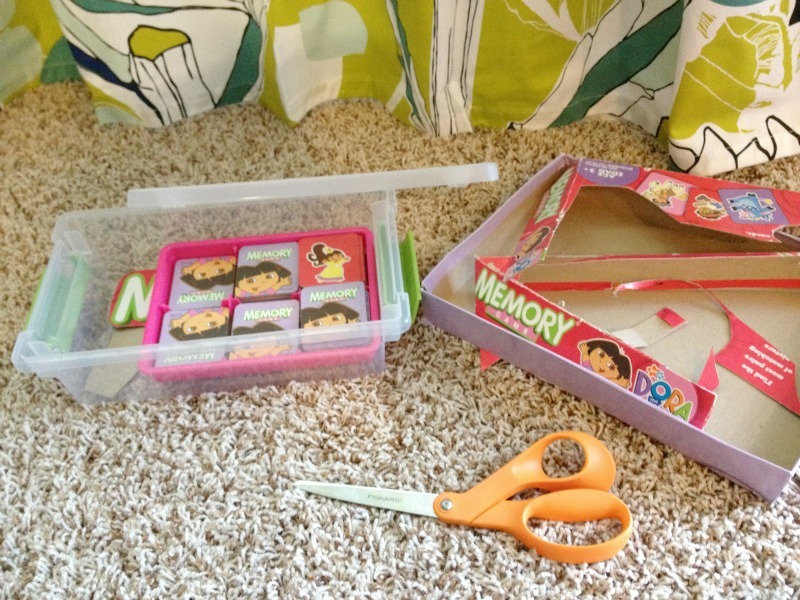 How do you organize your kiddos toys? I *just* did this with some of Liam's puzzles. Those wimpy little cardboard boxes sure don't stand up to younger siblings! Seriously! I so wish they came in something sturdier!